The aftermath of hurricane Irma provides a time of making profound choices for the country of how Sint Maarten should be shaped. 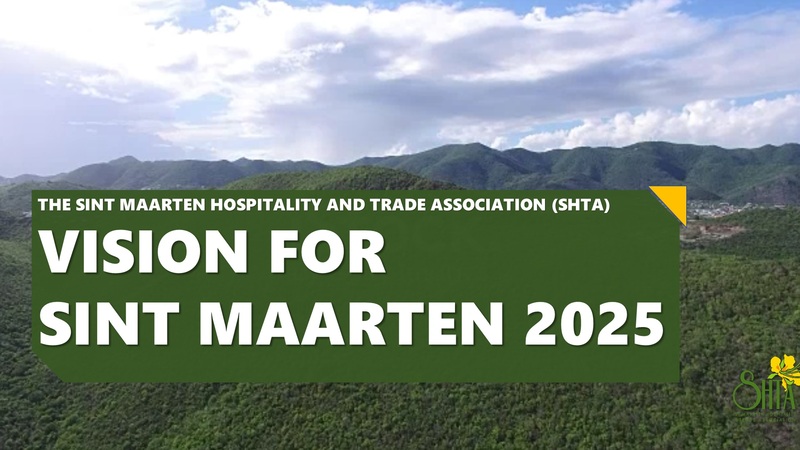 By means of this document SHTA will try to show its Vision of what an ideal Sint Maarten could like in 2025. We do so by outlining the qualities that we believe will make St. Maarten a great place to live, which in turn will create a great place to visit. The recovery funds provided by the Netherlands grant an opportunity to make significant strides toward a brighter tomorrow and a more dynamic Country St. Maarten, that will prove prosperous for all of its residents. SHTA has limited possibilities of accomplishing these goals without partners sharing these common desires. By means of sharing our vision, we hope to generate more momentum toward the embracement of really improving our country. One thing stands above all else. What we want for our future is to sustainably increase the quality of life for all residents. Initially many hoped this could be achieved by means of the transition of 10 / 10 / 10, though the fact is that we are still struggling. Even before the passing of Hurricane Irma, statistics pointed to a decreasing quality of life. Hurricane Irma made things a lot worse, for a lot more, in a real hurry. A quick comparison to the bounce back after Hurricane Luis hammers this home. The SHTA Board decided to use scenario planning to see if we could determine what to expect and how to work towards a better future. Scenario planning acknowledges the fact that the future is uncertain, but that if done in a structured manner, plausible scenarios can be plotted as to the likely results of decision making and what the future could look like. SHTA applied the Triple Bottom Line principle for sustainable economic growth as a key metric. This is where the balance between Good Governance, Profitability and Environment meet to impact overall quality of life. As the largest independent business network on island, SHTA can affect some developments, but many are externally decided upon. Explorative scenarios have been used by some very successful companies and countries as a way to better understand uncertain futures, and steps that need to be taken in the present in order to achieve a desired outcome. They are built on your key uncertainties, your “known unknowns” of the future, with the largest impact. Will Sint Maarten have a high fiscal compliance or a poor fiscal base? Will Sint Maarten predominantly have locally established and taxed businesses, or foreign operated ones? Will Sint Maarten have above average versus below average competitiveness? Will productivity and return on investment (ROI) prevail, or will we underperform economically? Will Sint Maarten have a “Brain Gain” or a “Brain Drain”? Will we preserve or degrade our natural resources – vital for tourism and our own quality of life? Will we safeguard and strengthen the Social Fabric of society or will poverty increase? Will the income of country Sint Maarten increase, or decrease? Will we have healthy public expenditures or will we have deficits? In the scenario axis below, you will find four future scenarios for country Sint Maarten that could occur based on these key uncertainties. For SHTA, two of the possible scenarios are of key importance. Already before Irma, our indicators pointed at decreasing national income and increasing deficit; flat or declining GDP and increasing size of Government with a decreasing private sector. That means that for years, our Business as Usual activity has been leading to the scenario the declining tract and a poorer quality of life for our residents. If we do nothing, the scenario of the “Declining Present” continues. Our current situation of low fiscal compliance producing higher deficits with low reinvestment opportunities. Tourism yields remain low, creating increasing unemployment, lower wages and dependency. Corruption and crime are rampant. Disillusion and brain drain grow, leading ultimately to less democratic involvement. All in all, Sint Maarten’s economic competitive position ranks poorly in the region and beyond. Even though it may be easier to carry on doing what is familiar, we see this scenario as detrimental for country Sint Maarten. SHTA calls on its partners to demand better and to align all decision making toward what we see as the most positive scenario, Scenario Perfect. Scenario Perfect knows a swiftly operating and effective public sector that is rights sized and flexible for economic needs and is supported by a vibrant private sector. Good fiscal policies, with an efficient collection and levy system that will lead to high fiscal compliance generating opportunities for sound and sustainable investments in both the public and private sectors. Tourism proceeds will be plentiful, local entrepreneurs will flourish. Welfare demand is low, as many jobs and upward mobility are available in the dynamic economy and unemployment is minimal. Smart and capable Sint Maarteners abroad are desirous of returning home to use their gained expertise on further expanding their personal opportunities. Crime is near record lows as everyone is benefiting from an effective and flourishing economy with a balanced and fair corruption-free Government. Whereas our current situation carries the largest implications in case of a disaster, scenario “perfect” is the most resilient. How do we get from where we are today to “Scenario Perfect”? What the scenario axis shows, is that the key to improving quality of life for everyone is actually good governance. The private sector cannot turn deficits into healthy public finance, nor reverse national decreasing income into a positive balance. 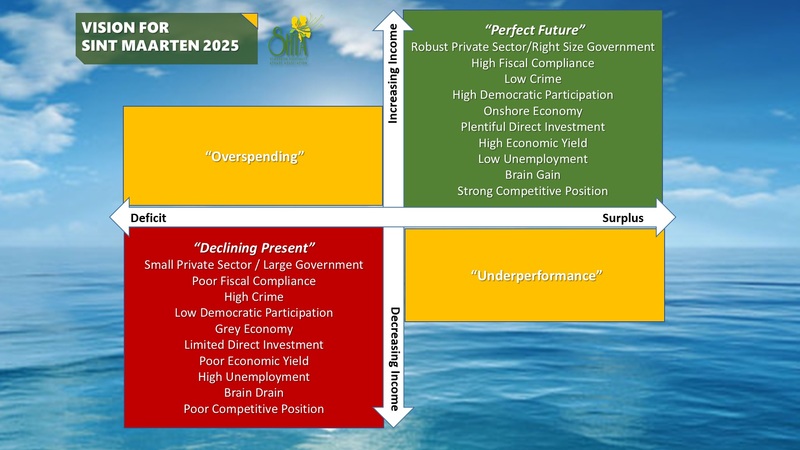 To steer towards a positive scenario for country Sint Maarten, the scenarios make clear good governance is a starting point for moving towards our desired future. 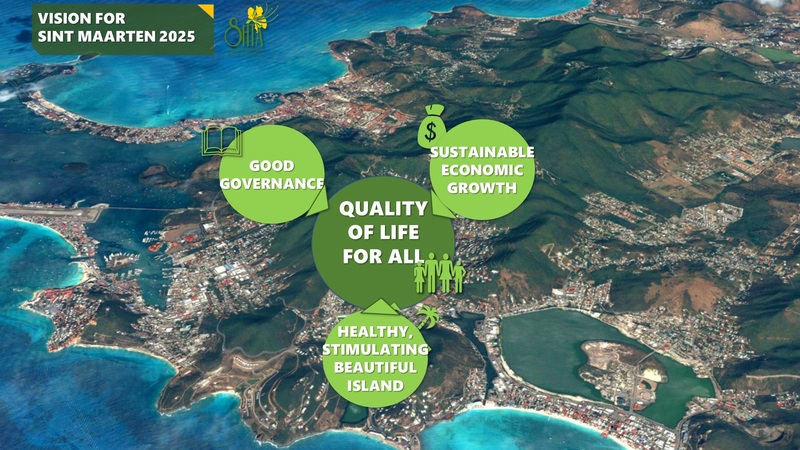 In turn, good governance enables sustainable economic development balanced with a healthy, stimulating and beautiful island, eventually resulting in improved quality of life for all. Managing our shared resources fairly, efficiently and wisely in order to maximize sustainable economic growth is the only way to set this upward spiraling circle in motion. A lot has been said about integrity in public offices and public appointments. We often do not see the most qualified but the most willing to comply appointed. Our Governing bodies are too expensive and by contrast not productive—causing waste and lost revenue potential at all levels. Transparency and integrity are even negatively affected because we do not clearly publicize policy, we have no linkages between Ministries to accurately determine cause and effect and we do not have enough resources to enforce existing policies. The Civil Service are left with ambiguity in policy implementation thus creating an uneven playing field. Corporate and individual residents are rewarded for not playing by the rules, while those that do are penalized. Ministries need to be interconnected, Economic policy effects Finance, Justice, Vromi, Education, Health and Labor. To operate them independently is like driving while texting. A transparent, honest and integrated government apparatus is the minimum requirement for any country to prosper sustainably for the benefit of all residents. By improving our education, IT infrastructure and support of NGOs, by modernizing our labor law to create upward mobility, we can move away from the minimum wage society and improve productivity. At present, our labor laws and economic policies oftentimes form a barrier towards good governance and economic growth. Having the right laws and balanced enforcement is also part of good governance and in these areas the country needs to do quite some work. 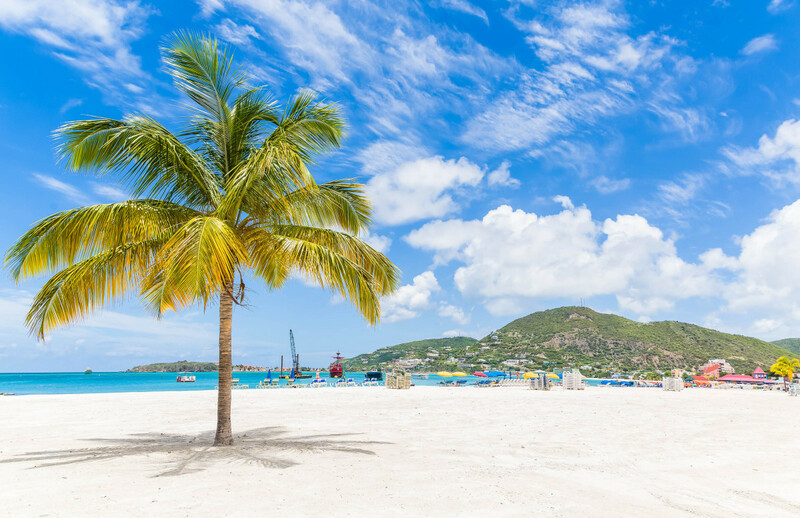 In recent years, St. Maarten has been lacking leadership to turn us around, to take the bold but necessary steps toward improving our collective wealth. We are ever hopeful that out of recent adversity opportunity will prevail. Managing our shared resources fairly, efficiently and wisely is a key second call to action for a better future. Sint Maarten’s’ nature is its sole crown jewel. Protecting beaches and inland waterways, waste management, strong affordable housing, with plenty of Blue and Green spaces is important for maintaining a nurturing and fostering environment for our people well into the future. When all three pillars are positively set in motion, our people are also rewarded with quality education opportunities, affordable housing and robust health care systems. If good governance prevails it will allow for economic growth and in turn a healthy public budget with room for investment, and we start to see significant improvement in the overall quality of life. Most importantly, every decision we make enhances our ability to improve economic stability and our ability to maintain doing so into the future. As in any country, the private sector generates the national income via tax payments. It houses expertise, innovation and entrepreneurship. Key initial steps to improving the economic situation for the long term is through a modern and efficient tax system and labor reform. Adjusting economic and building policy to protect our natural resources, to attract the caliber of visitor and investor we seek is also required. Above all, the country’s productivity at every level needs to be improved. Spending on reliable user-friendly IT systems that give us the necessary data to make sound judgements across all levels is urgent. More sustained income, reinforced by an even more healthy, beautiful island and flourishing economy on its soil, will eventually lead to a higher quality of life. However, SHTA underlines that requires additional steps too. Safeguarding life-long learning, upward mobility and income opportunities will in turn lead to additional quality of life and opportunity for all. Provide Leadership – take the hard decisions, inform the people and stay the right course. Allow private sector representatives and NGOs to assume leadership in the sectors where they have proven expertise, motivation and investments, whether economic, social or environmental. Institute Immediate Tax Relief and Fiscal Policy Reform – policy and productivity; help employers keep employees through the long dry summer ahead. Allow the private sector input in the development of a new tax-system that will be fair, improve the business climate, productivity, wealth creation and support local employment. Fix the Airport NOW as quickly as possible– everything about it. Create Hire / Fire Labor Legislation with portable benefits – creating flexibility will lead to upward mobility away from the minimum wage quagmire we are currently in. Provide a framework policy for facilitating Credit extension –implementation by the Central Bank, with Loan Guarantees where necessary for local Banks in order to generate private sector liquidity assistance. Do so in line with point 1. Halt NHI Implementation –reform our healthcare system – yes; create sustainability – yes; but do not force an antiquated idea without enough quality data into a downward spiraling economy. Create a multi-annual plan of Sustainable Destination Marketing in a Structured Legitimate Public Private Collaboration such as a Promotional Board—single purpose entity. SHTA sees it as a collective responsibility to get to an ideal scenario. Many of our ideas, ambitions and suggestions have been already shared by us to Sint Maarten-, Kingdom and Dutch government related entities, NGO’s and international organizations in which SHTA represents country Sint Maarten. Like no other association on island, SHTA tries to provide policy ideas, suggestions to government and arrange meetings with relevant stakeholders to fight for our circle of growth. Any extended hand from government and other stakeholders for private sector involvement is always welcomed, as SHTA remains in favor of real public private cooperation. Irma and the Dutch kingdom’s relief funds have presented us with an opportunity to fix quite some problems. We note that the economy is still heading for uncharted and uncertain waters. Everything that happens next and the speed in which it happens will define St. Maarten’s ability to reach our desired future scenario either for the positive or the negative. In any future scenario, members can count on SHTA’s involvement. It calls on its members, partners and public officials to take notice of the desires of the private sector to make this island a great place to live for all – and the best place to visit in the process. SHTA, 23d of May 2018.